The value of your property is critical for so many reasons. Whether you are looking to sell your South Wales home fast for cash or you are hoping to sell thought the traditional estate agent route the ultimate value or what you will get for the property is obviously important. As most people know prices change over time and there are so many factors involved. There is no doubt Brexit is causing some uncertainty in the market and houses are slower to sell at the moment. If you need to sell your home quickly then get in touch with our team; we are able to make a cash offer on your home regardless of Brexit and other market forces! 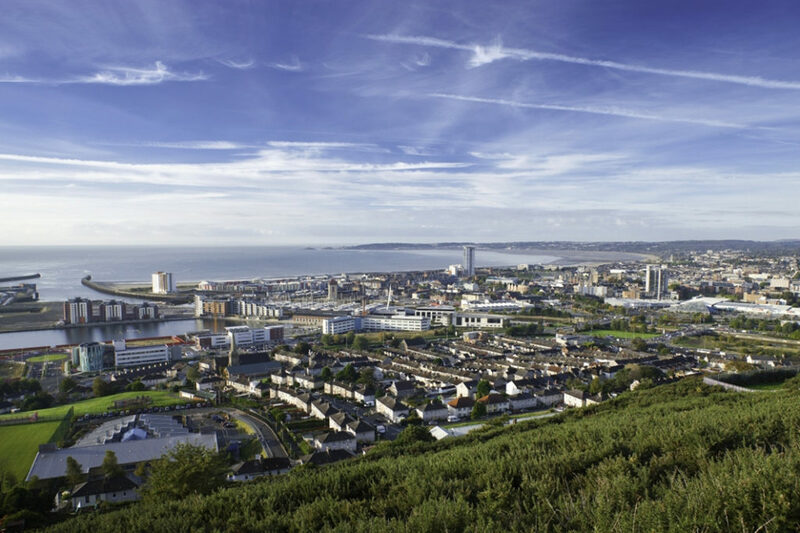 Swansea has long been an important Welsh city and certainly the home of a lot of different types of property in South Wales. If we look over the last 20 years property prices have increased by a staggering 222%! That means the average property price has increase by around £124,000! We can then look a little closer and see that over the last 5 years this increase has been around 22% and even in the last 6 months prices have increased by an average of 3.39%. This is great news for “jacks” because looking at average figures suggests all property owners are gaining property value. The average cost of a house over the last 6 months is £162,000. The classic rivalry between Cardiff and Swansea may not normally extend to house prices but it seems over the last 20 years Cardiff just beats Swansea with a average increase of 247%. The average value change over this time is £180,600. Over the last 5 years the increase is 28.7% and over the last 6 months it is 2.58%. This means while Cardiff has gained more over the last 20 years Swansea is catching up this year! The average price paid over the last 6 months in Cardiff is £240,105 so considerably more than Swansea prices. The 20 year increase for Newport is 227% with an average rise of £127,000 which is similar to Swansea. Over the last 5 years the increase is 27.4% and over the last 6 months it is 4.65% which means this year Newport is showing a stronger average increase in property value than both Swansea and Cardiff. The average amount paid for a house in Newport is £170,200 which is just above Swansea. Of course, these things can change very quickly and while things look good now we do not know how the coming months will affect these figures. This kind of thing can cause issues with negative equity especially where people buy a house at a high in terms of value and then things happen in the wider economy that causes that value to drop against a large mortgage. We have a lot of experience helping people in negative equity release themselves from the mortgage so they can move on and start again.